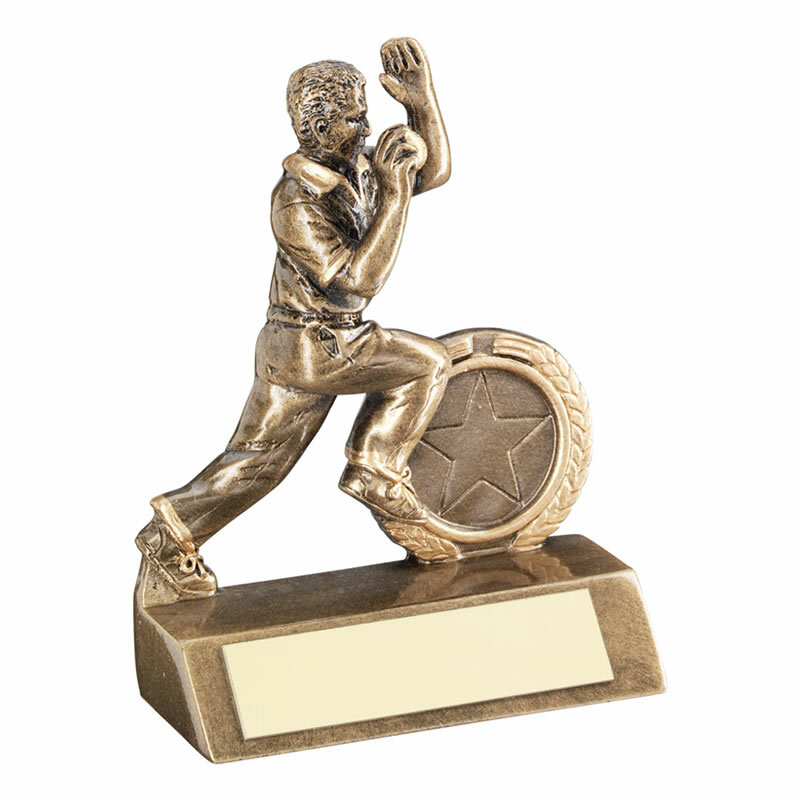 This affordable cricket bowler award trophy features a detailed resin figure of a bowler in action mounted on a bevelled base with an engraving plaque on the front. Ideal as a prize or award for the successful bowler in your team or club, the figure is finished in a stylish antique bronze colour. Available in three size options, these low-cost bowler figure awards are offered with custom engraving of the base plaque.